OK.. so these Cucumber chips sound a bit strange.. but my zucchini chips were such a hit I want to make more chips for you. And they turned out great.. at least I am judging that by the fact that my girls got home, saw them on the table and started shoving handfuls in their mouths. They were gone in about one minute.. What a way to get your kids to eat veggies.. lol. I used my Mandoline slicer again, on thin.. next time I will try the thick blade and see if I like that, too, for a thicker chip. These are more of “crisps”. There is no oil in this recipe and I went simple on the seasoning.. just vinegar and salt. But I think dill and maybe even garlic would be good and kind of pickley.. Something for next time. The mandoline is essential for making the thin slices you will need for this recipe. 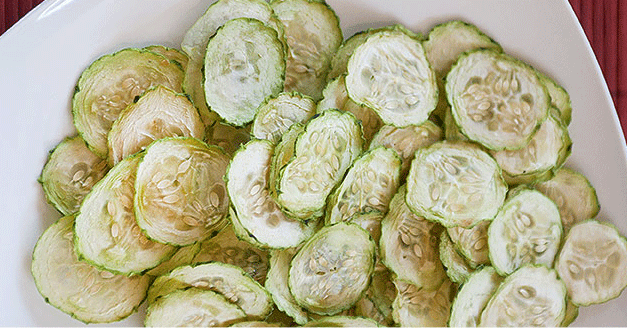 If you try cutting the cucumber with a knife they may take a lot longer in the dehydrator. I love this Müeller Spiral-Ultra 4-Blade Spiralizer, 8 in 1 tool because it does a bunch of jobs in one. I also use my dehydrator (which I love btw) but if you don’t have one try baking in your oven at a low temperature. BTW- I love having a dehydrator. I will admit it doesn’t get used all the time, but when I do use it I am so grateful to have it. This Nesco Snackmaster Pro Food Dehydrator has over 2000 reviews and close to 5 stars! 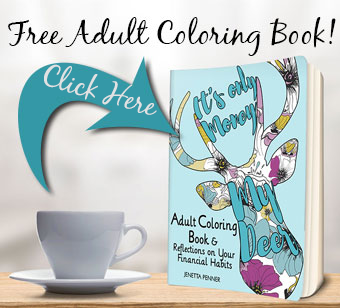 Let me know if you plan to try them in comments! And what flavoring or dip might you use? not really.. but I would maybe do 1/4 tsp garlic powder and just as much dill. I am done my experiment, although interesting I don’t think these are for me (taste wise). I think it’s important to say use fresh cucumbers. Although it tasted ok before drying one of my cucumbers were starting to go soft and had a more sour taste after drying. I tried this with field and English cucumber and probably wouldn’t make a difference. I cut one on the thinnest setting and one at 1/8th which now I think should be the minimum thickness. Also I tried a bit plan of each kind of cucumber and some dill and some garlic ones (sprinkles seasoning until it ‘looked ok’) which were all ok, still an interesting taste almost like plain pumpkin seeds I think. Happy dehydrating ya all. These look and sound delicious. One question; assuming you didn't eat them all at once, how long will they keep and should they be refrigerated? They are completely dried, so no refridg needed, and they would probably last longer.. but taste better eaten within a few days. I am making these as we speak! I was gifted some cukes yesterday (store bought so I couldn't make pickles) so am trying this instead. Added a bit of garlic, we'll see! what if you dont have a dehydrator ? how long should i keep them in the oven? What about shaking some Ranch dressing "powder" on them before dehydrating? YUM! Yes, I have that in mind for a future recipe! That is amazing, I have never seen that before. Great idea!! Has anyone tried these in the oven? I really wanted to try some but don't have a dehydrator. 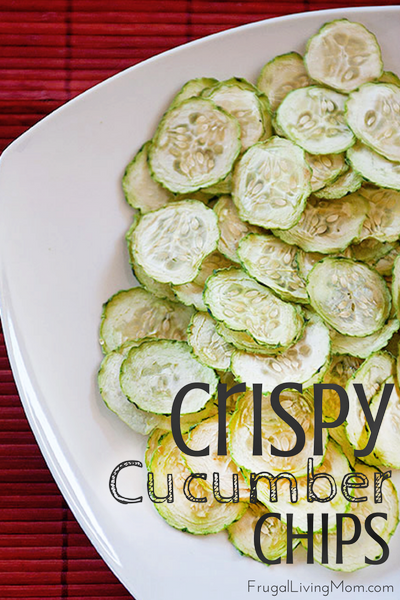 I want to try your cucumber chips but don't have a dehydrator. How long to bake and how low. Hi! I just madoline'd my 1 1/2 lbs of cukes and, wow, they filled my 8 Nesco trays! I have a question for my next attempt. As soon as they're sliced, they emit a LOT of water. My bowl had more water in it than vinegar and after doing 1-2 trays I empty the bowl and put i fresh vinegar & salt. Did this happen to you? I felt like the last ones in the bowl are probably not going to be as tasty as the first. Oh, I meant to ask, did you try drying them with the thicker slice on the your mandoline? if so, how did they turn out? THanks for your wonderful ideas! I did. I find it takes a VERY long time to dry.